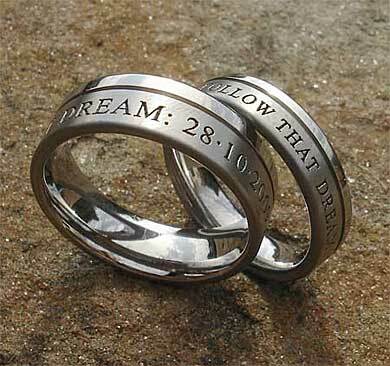 Twin Finish Personalised Titanium Wedding Ring : LOVE2HAVE UK! This ring is a twin finished titanium wedding ring that makes a fantastic idea for your his and hers personalised wedding rings as they are very cost efficient and come in differing widths. The design features a polished rail with a satin engraved band divided by a groove. The wider widths go up to 12mm and the thinner ones 5mm. This model works very well for all the widths provided, and we have gone to the trouble of picturing a pair of rings together for you to get an idea of how they look like a set. The ones pictured in a pair are 7mm and 5mm. 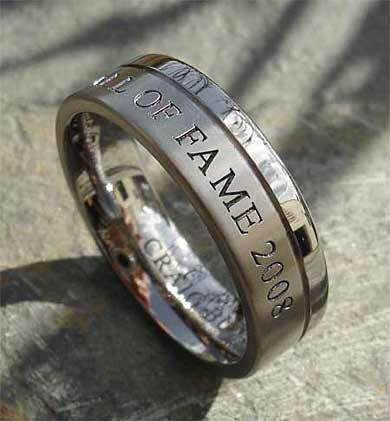 You may choose an engraving of your choice to appear on the outside of the ring. The personalised engraving included in the price is FREE! - You can have anything you wish. 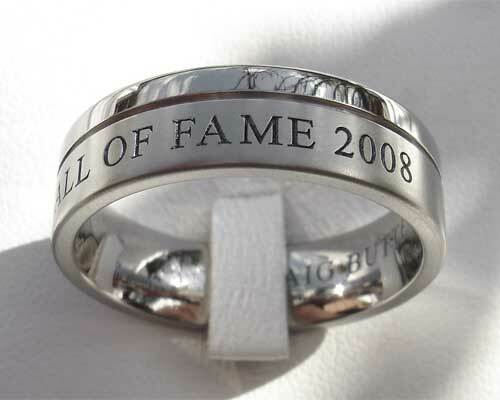 Please specify your choice of engraving in the comments box at check out. 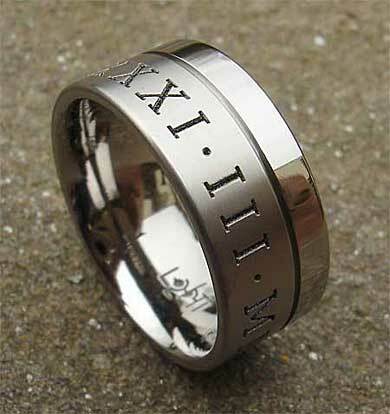 The Roman numerals pictured here are just one example, but you can have anything you wish, even graphics or a logo.